Modernica is a sans serif typeface created by Javier Quintana and published by Latinotype that contains 16 fonts, 8 weights with accompaniyng italics and Small Caps. Also has a lot of Opentype Features perfect for your projects. 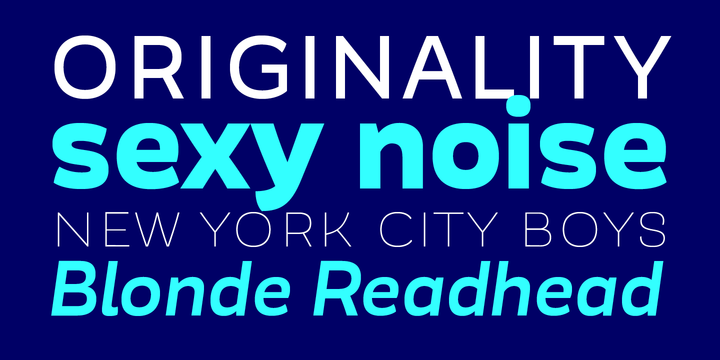 Based on the Mazurquica structure, this font is ideal for editorial projects. A font description published on Wednesday, July 9th, 2014 in Fonts, Javier Quintana, Latinotype by Alexandra that has 4,915 views.